If you missed this event or would like to revisit the presentation topics, please review the Abstract and Presenter Bio below. Check back in the future for posted presentation slides. Thank you! Floods are the leading cause of natural-disaster losses in the United States. More than 75-percent of declared Federal disasters are related to floods with annual losses averaging almost $8 billion with over 90 fatalities per year. Yet flood forecasting has lagged well behind other technological advancements by keeping with simple regional warnings for broad areas. Recent advancements in software, computational techniques, and computer processing power have opened the door to 21st century improvements in flood forecasting for approaching severe storms. The Regional River Severe Storm (R2S2) forecasting system has been developed by Hassan Water Resources (HWR) and Virginia Department of Transportation (VDOT) to combine watershed modeling, river hydrodynamics, and variable regional rainfall forcasting to predict flood risks to roadways and bridges in advance of severe storms. R2S2 can simulate flooding conditions throughout watersheds ranging from few square miles to thousands of square miles. 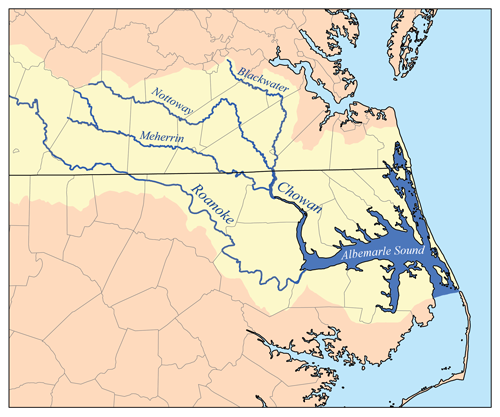 The current VDOT system produces flood forecasting for a 2,200 square mile river basin encompassing five (5) counties, thirteen (13) towns, 200 river miles, four (4) river systems, nearly 500 structures, tidal fluctuations, and coastal surge. R2S2 identifies locations, estimated time, severity, and duration of flooding impacts upon transportation facilities. The output data can be uploaded to a website with online mapping for graphical representation. Simultaneous automated alert e-mails and text messages can be sent to government entities about forecasted impacts. These communication venues allow a host of users to quickly identify critical flood forecasts, provide more focused flood warnings, deploy emergency service assets, plan road closures, formulate response activities, and ultimately save lives. This presentation will present the new technologies and techniques related to this innovative approach to flood forecasting. Attendees will gain a better understanding of innovative flood prediction approaches. Gamal Hassan has more than 28 years of experience in the fields of Hydrology and Complex Hydrodynamic Analysis. He has a Master of Arts degree in Applied Mathematics from Marshall University, West Virginia, (1988), and a Bachelor of Science degree in Civil Engineering from Alexandria University, Egypt, (1981). He is a registered professional engineer in Virginia, Washington DC, West Virginia, North Carolina, and Louisiana. He is the president and a senior River Mechanics Engineer of HWR, a water resources consulting firm in Virginia, and his practical experience includes major domestic and international projects. He worked on Hurricane Katrina Surge Model for the I-10 Bridge Replacement over Lake Ponchartrain, Hurricane Inundation Model for LA-1 Hurricane Evacuation Route in Southern Louisiana, the Zambezi River Bridge in Mozambique, and the Woodrow Wilson Bridge project over the Potomac River in Washington DC. He is a member of the American Society of Civil Engineers (ASCE), and the American Society of Highway Engineers (ASHE).